Well it's been a great summer. The blanket drive is over for this year. I have several recipients in mind for next years drive. I'm hoping to update the site again when I have next years confirmed. I've also decided to make a big change this year. I will be accepting blankets all year round. I will still be making the donation in September. Most of the organizations I have been in touch with make any decisions about donating to such a project earlier in the year. I will also be mailing the flyer in January if possible. If you would like to recieve the flyer for the drive next year please send me the mailing address from the Contact Us page. I hope you all have a wonderful winter and thank you all for your help as the drive evolves from year to year. Know someplace that could use blankets? I accept sheets, blankets, pillowcases, afghans, quilts, and crib bedding. 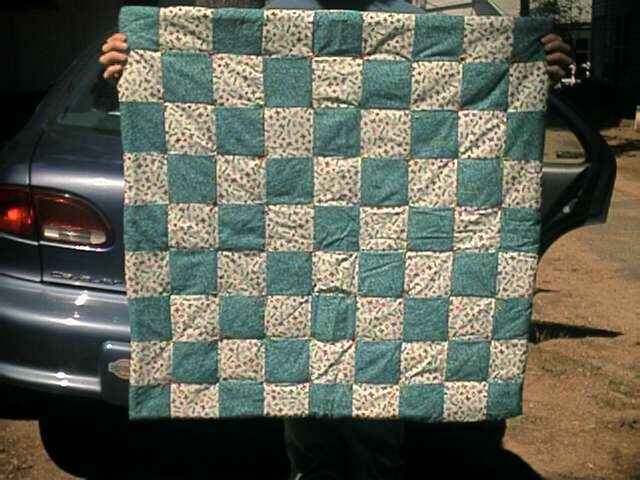 Donations can be new, used, or handmade, as long as donations are in good condition or can be mended I will accept them.